CTM’s Aerial Missions Unit was established to develop the architecture and resources to conduct operational research on small unmanned aircraft systems, in accordance with established federal directives and standards. 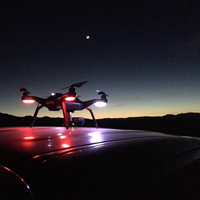 AMU personnel maintain extensive subject matter expertise in unmanned systems technologies, capabilities and limitations, and policies to support exploration and implementation of applications in law enforcement, emergency management, environmental resource management, and UAS countermeasures. 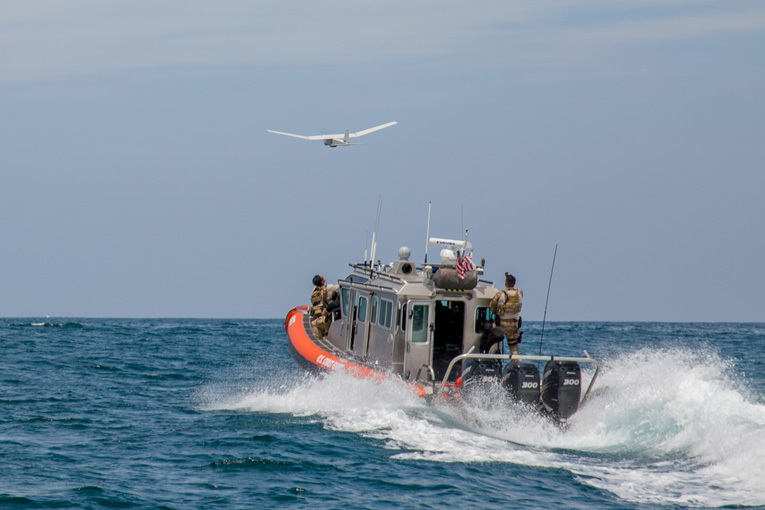 An RQ-20A Puma unmanned aircraft system is launched by personnel from U.S .Coast Guard’s Maritime Safety and Security Team-San Diego and the Navy’s Special Reconnaissance Team One to demonstrate the capabilities of small unmanned aircraft in support of maritime surveillance and tactical operations during the Coastal Trident 2015 Regional Port and Maritime Security Program. The Group 1 UAS program focuses on the capability of tactical units to employ small unmanned aircraft as organic intelligence, surveillance, and reconnaissance (ISR) assets, supplementing constrained manned aircraft and other operational- and strategic-level resources. The AMU maintains operational expertise, flight qualifications, and material access to a variety of UAS platforms. 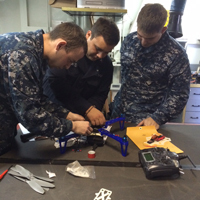 CTM Aerial Missions Unit personnel operate small unmanned aircraft in support of cetacean research activities. 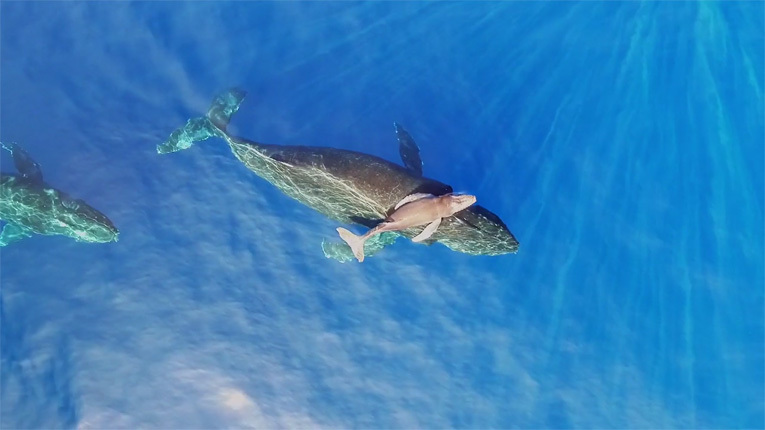 AMU, in partnership with Ventura County’s Office of Education and California State University-Channel Islands, used several variants of waterproof multi-copters to spot humpback whales and record breaching activities, helping biologists determine the motivation and biological benefit to the oft-observed but ill-understood behavior. 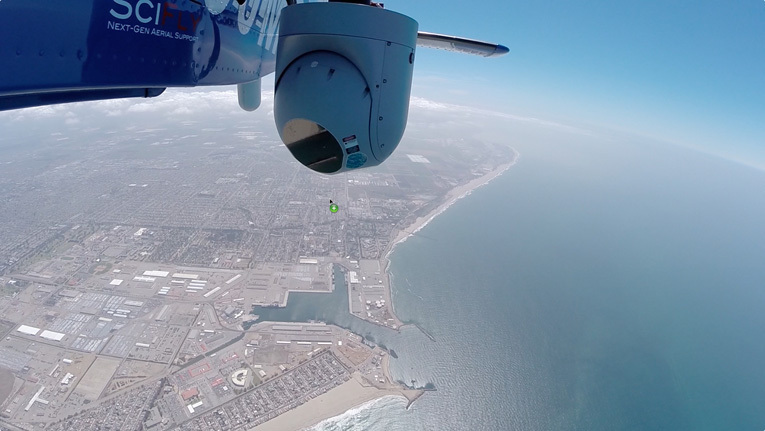 The ability of unmanned aircraft to operate with flexibility and minimize environmental interference makes them ideal for applications in observational research. As subject matter experts in UAS applications and operations, AMU provides support to a number of environmental research programs. 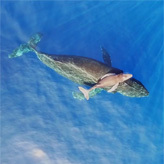 These have included initiatives to survey protected nesting sites and measure the growth of whale calves. 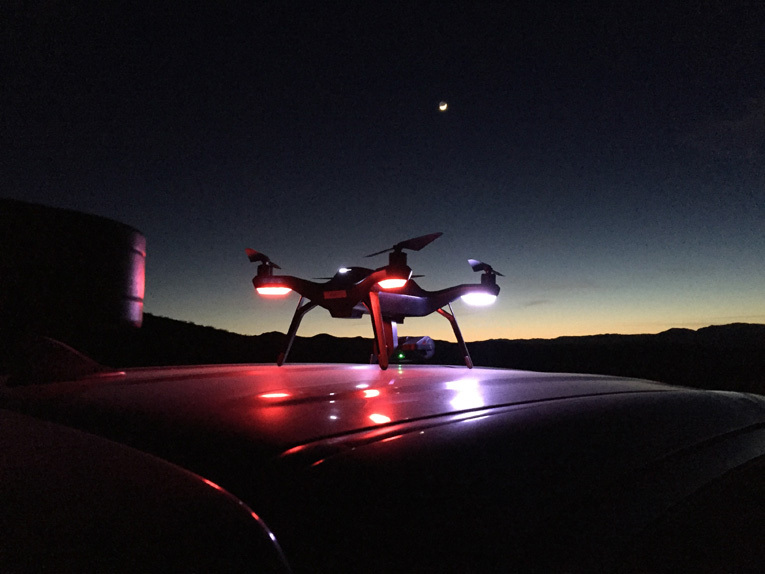 Aerial Missions Unit personnel conduct nighttime training with the 3DRobotics Solo unmanned aircraft system. The EAV program provides the administrative and operational construct to conduct rapid-response experimentation of experimental or commercially available UAS in restricted airspace. This program streamlines the process of airworthiness approvals, airspace and frequency authorizations, providing access to test venues that present policy, administrative, or logistics challenges. 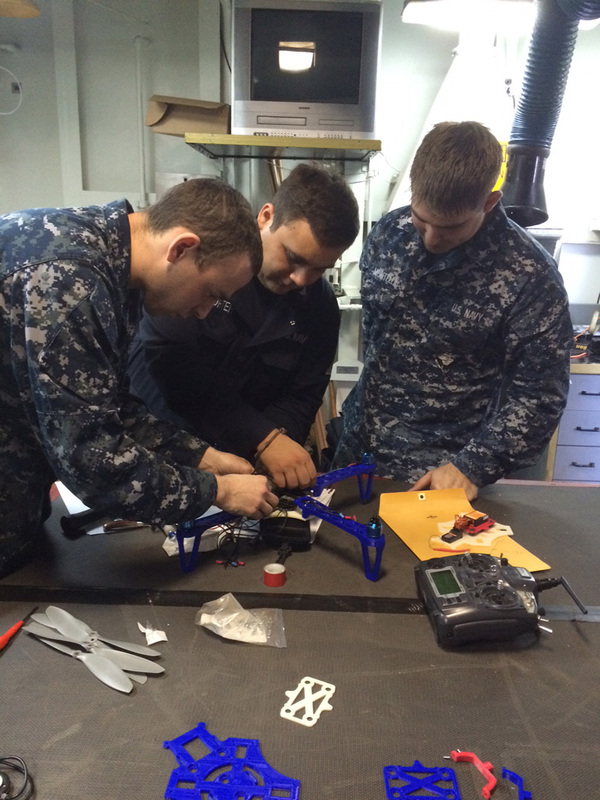 Personnel from the USS Essex assemble components of a 3DRobotics Iris unmanned aircraft system, the first unmanned aircraft system produced through additive manufacturing and operated aboard a U.S. Navy ship. This experiment was conducted in support of the Chief of Naval Operations’ Print the Fleet initiative. The Additive Manufacturing program focuses on the capability of resource-constrained and geographically isolated units to use 3D printing technology to manufacture aircraft and spare parts based on the specifics of their operational environment and application. 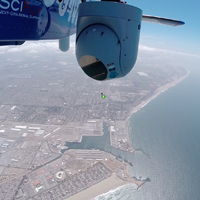 SciFly demonstrates the capabilities of a captive carried electro-optical and infrared payload to act as a surrogate unmanned aircraft system, facilitating enhanced operator training and situational awareness during the Coastal Trident 2014 Regional Port and Maritime Security Program. The Surrogate UAS program focuses on experimentation captive carry of UAS sensors and data links by manned aircraft. Through this construct, training and experimentation of UAS subsystems can be conducted in airspace otherwise inaccessible under routine circumstances, with minimal impact to routine air traffic or artificiality imposed upon the operator. 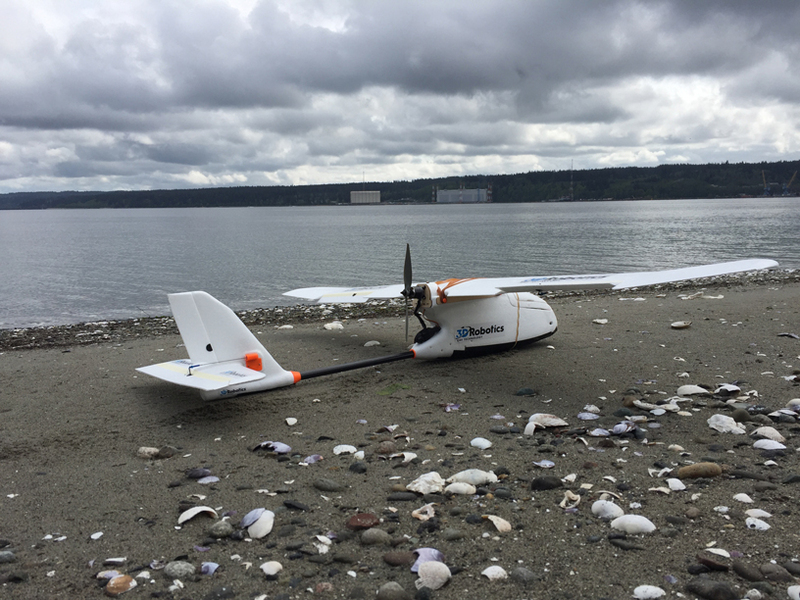 A 3DRobotics Aero is operated in support of a U.S. Navy program to evaluate counter-unmanned aircraft systems technologies at Naval Base Kitsap-Bangor Annex.